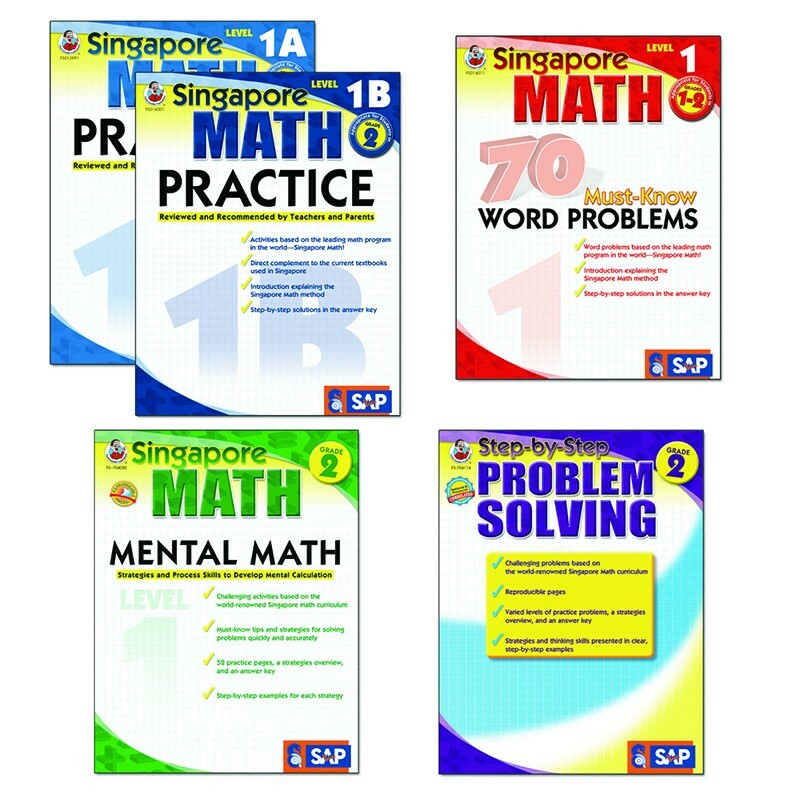 Get a complete math curriculum in one with this specially bundled package of Singapore Math learning. Singapore Math is one of the leading math programs in the world! Each grade-appropriate set includes level A and B of the Singapore Math Practice series, 70 Must-Know Word Problems, Mental Math, and Step-by-Step Problem Solving. So, jump start your math learning today!